Are you inspired to tackle some of the UK’s most challenging societal issues? Can your research help deliver impact, economic growth as well as enhance productivity? Do you have an innovative project idea that requires industry participation? 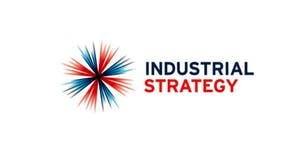 If you answered yes to any of the above, then the exciting Industrial Strategy Challenge Fund (ISCF) is for you! You should most certainly attend the RIO ISCF Event on 1st May 2019 to find out more as well as keep an eye out for the launch of RIO’s Internal ISCF Partnership Development Fund. The ISCF, a substantial £4.7bil, was first announced by the Prime Minister in 2016 and launched in 2017. It is the largest injection of innovation funding in the last forty years and provides a unique challenge-led project approach. All projects revolve around the four Grand Challenges as listed below. Under each Grand Challenge there are numerous sub-challenges, released in waves, and these have been identified by the current needs of industry. There are still opportunities to apply for Wave One and Wave Two funding and you can find out more details on all of the live challenges here. Furthermore, you can start exploring relevant projects and industry partners for the Wave Three challenges which have recently been announced. Prospering from the Energy Revolution Challenge: Funding call will open in April/May and the challenge will focus on new systems and different ways to provide cheaper and cleaner energy. Funding should be totalling £30mil and each project will be around £3mil. Transforming Construction Challenge: Funding call will open in the summer and this will be part of the Collaborative Research and Development Phase 2 and will include a total of £10mil for 2 year projects and £23mil for 1 year projects. Project should focus on collaborative projects that lead to a scalable shift for the sector. The ISCF is a once in a generation opportunity and provides the chance to work closely with industry and generate significant societal change and impact. It can be difficult to navigate the ISCF landscape and secure relevant industry partners but RIO now has a dedicated staff member (Georgina Jamieson – Knowledge Exchange Manager) to provide insights and support. Please get in touch to discuss project ideas, industry engagement approaches or for a general discussions about ISCF. …. and did we mention that RIO is hosting an ISCF Event!? Hope to meet you there!